Mosaiq was built for today’s increasingly dangerous world and introduces a proactive approach to security that shatters the status quo. Guided by the belief that everyone has a fundamental right to security, we continue to build on the most advanced threat detection system the world has ever known. As adversaries shift their focus towards event arenas, threats have shifted from petty crimes and rambunctious conduct to something entirely different. Threats can come from anywhere and as recent security events have shown, it is not unique to any one place. After connecting with security executives at some of the largest sports stadiums and event arenas in the U.S., Evolv believes a risk-based approach to security is critical. How by embracing a risk management strategy, venues can focus their most rigorous screening on the 1%, rather than the 99%. Today, millions of people are vulnerable to attacks as private facilities, public venues, and the transportation infrastructure have become potential targets. The world needs a security solution that can adapt in this ever-changing threat landscape. 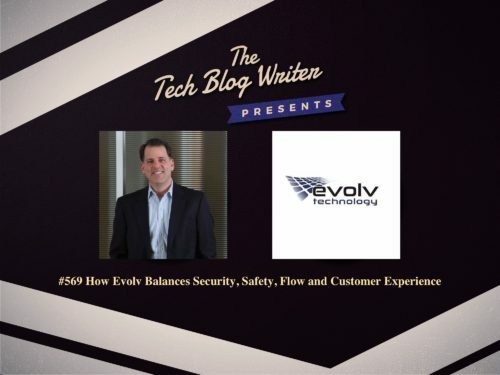 I wanted to find out how Evolv is using technology to answer that call with a first-of-its-kind security platform.